Lottie and Lil Blog » Pink Champagne 40th Birthday! Love this party theme! For Christine’s 40th, everything was pink and sparkling. 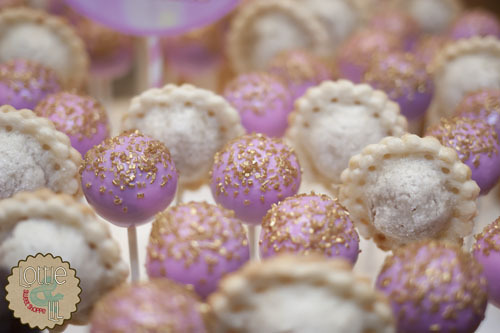 The pink cake pops have a touch of gold sprinkles for a nice glittery effect. 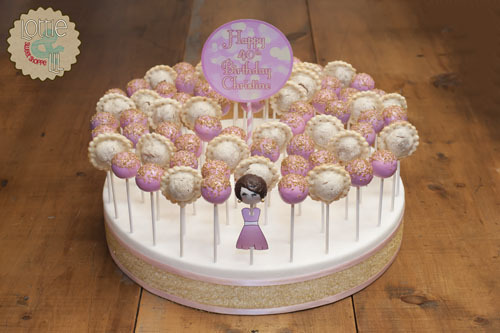 With a mix of pie pops, cake pops and a designer pop to look like the birthday girl, this custom cake pop display was the perfect touch of sparkle for this big celebration! This entry was posted on Monday, January 26th, 2015 at 9:43 am	and is filed under Birthday Pops.